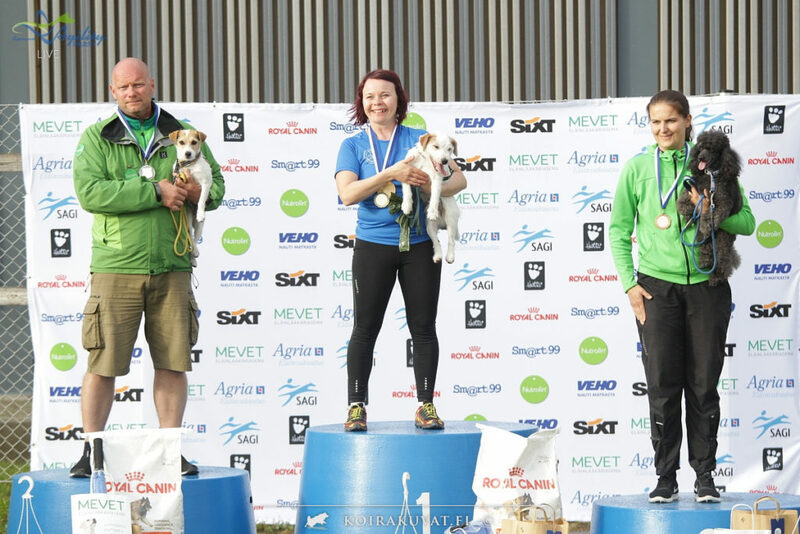 Wii returned to the agility trials the last weekend of May, after having her puppies. She competed in Jakobstad and in Pietarssari. She won three of the races, but the feeling and the speed was not the best. Neither for me or Wii. 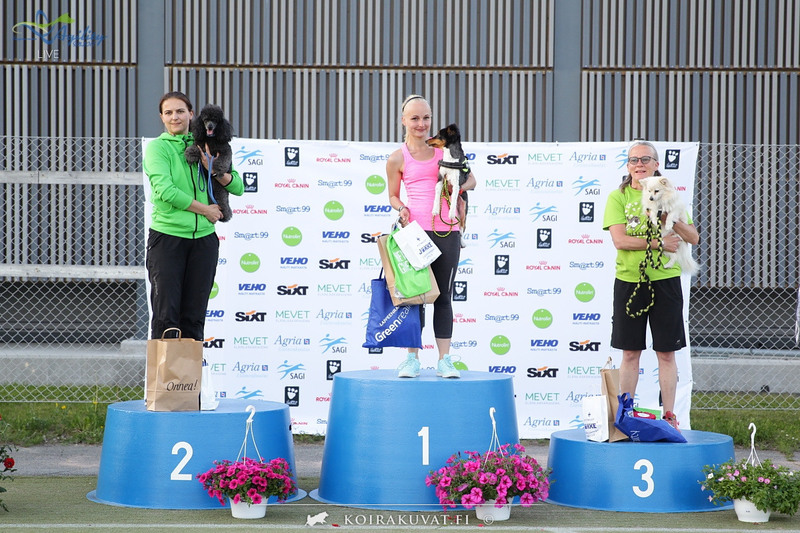 Anyhow, last weekend we headed to Lappeenranta and the Finnish Championships with no higher hopes. On friday evening we took part in a warmup jump competition. Wii did white an ok run and surprised me with a second place out of 106 dogs! That gave some hopes for the weekend. Second place in the warmup competition. 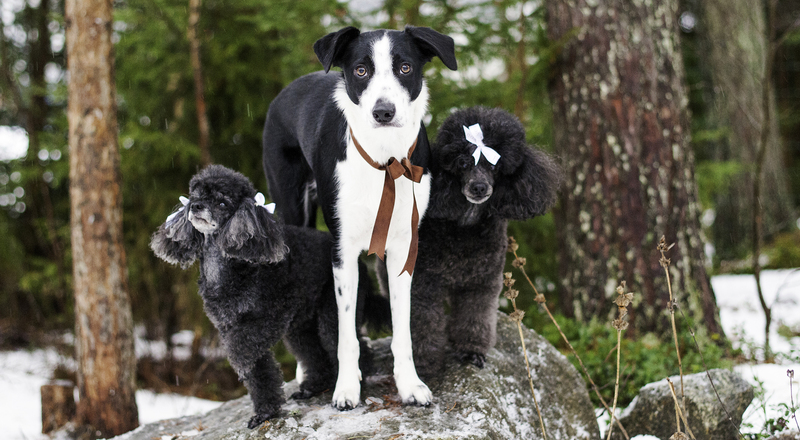 On saturday we competed for The Finnish poodle club in the Finnish Championships for teams. It was quite a difficult tracka and unfortunate our team was already disqualified when Wii entered the track. I had woken up without a voice myself that morning, so decided to participate and train some weaves and contacts. 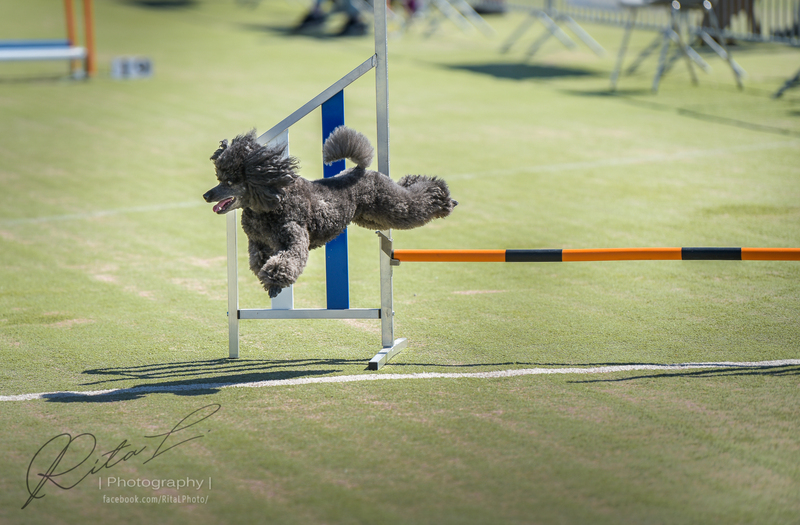 Wii did a good race with faults and the secon fastest time out of more than 260 dogs. Wow! Wii won bronze in the individual Finnish Championships!